The Mach 4 is now on its fifth generation, incorporating lessons learned along the way through the bike’s time racing in the XC circuit. Builds for the Mach 4 will be broken down into XC race and trail categories. 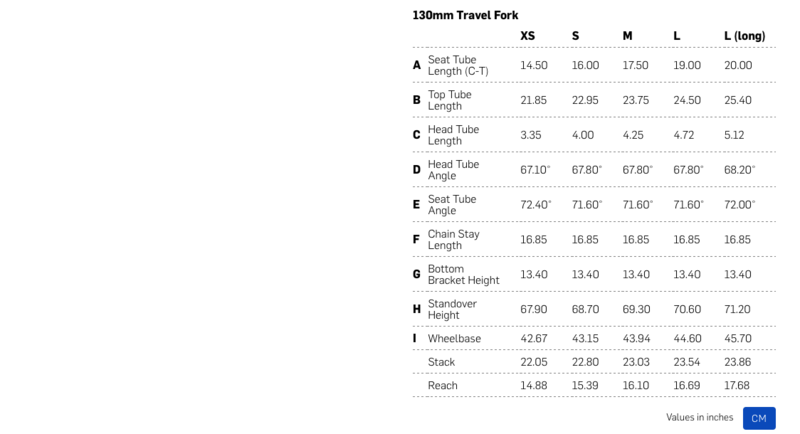 The XC builds will be spec’d with a 100mm step cast Fox 32 fork, flat bar, carbon seat post, longer stem and will tip the scales in the 22 pound range. 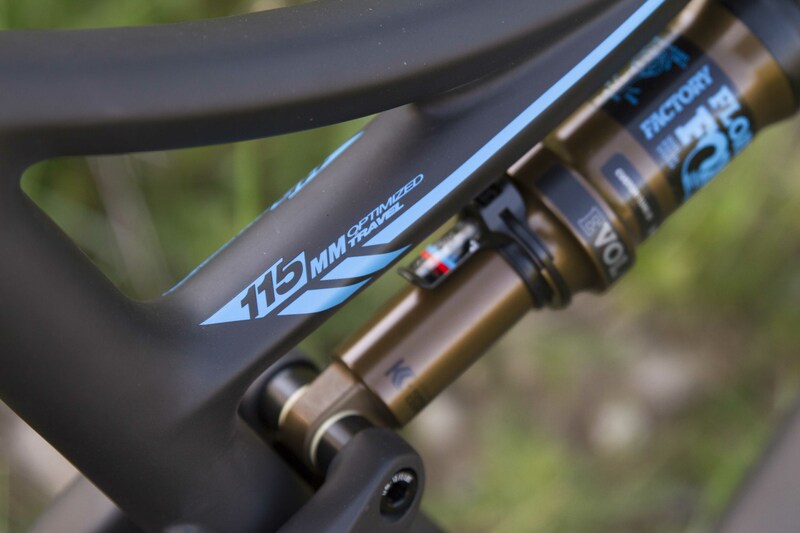 The trail category sees 130mm of front travel from a Fox 34 fork, as well as a dropper post, shorter stem, and riser bars. 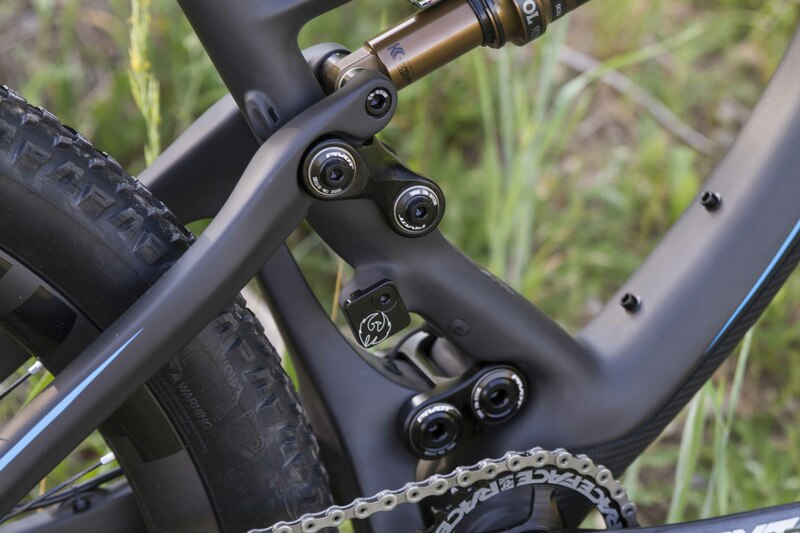 Out back, suspension duties are handled by a Fox DPS4 shock, which the Pivot crew says provides more bushing support and better handing from previous generations. 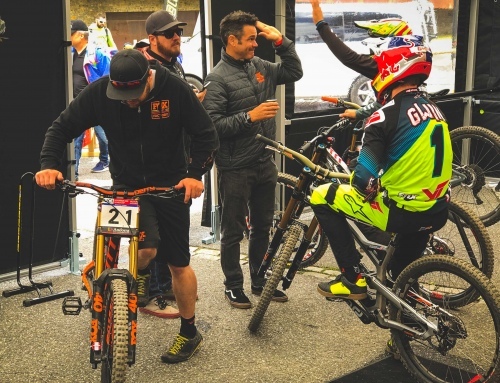 The shock is also optimized for the DW link suspension and tuned to provide pro-level, World Cup quality, pedaling performance and the bottomless feel of a longer travel bike without sacrificing efficiency. 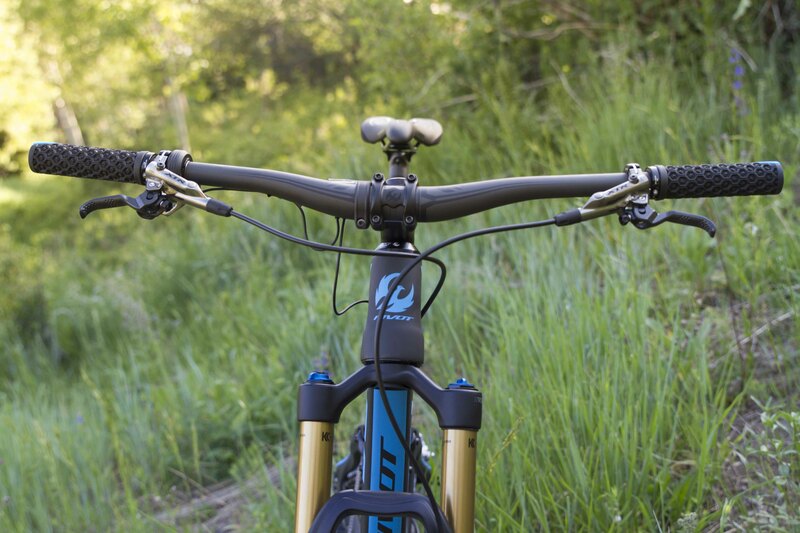 The Float DPS shock features settings and a design that allows for an incredibly plush feel with a wide range of damping control while also offering an extremely positive “firm” position for fast climbs. When combined with the dw‐link’s patented position‐sensitive anti‐squat, the DPS4 shock gives riders even better traction on steep ups and over rough trail. Pivot maintains their signature size specific layup, tube shape and geometry, meaning that even the shortest or tallest riders are still able to benefit from the same ride. 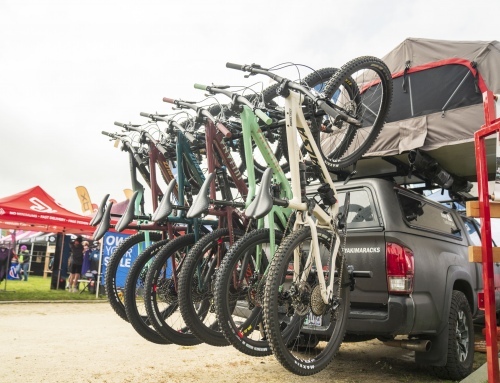 As an added plus for smaller riders, Pivot also says that the Mach 4 has the lowest stand over height of any full suspension mountain bike. 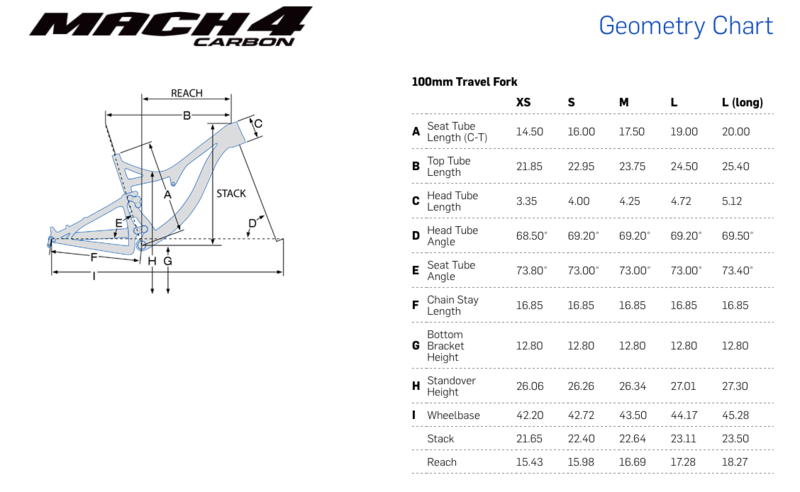 The Mach 4 Carbon is available in five sizes to fit riders from 4’10” to 6’3”+ from Extra Small (XS) to Large (L) and Large (Long) options. Smaller stature riders will be happy to know that the XS frame still has ample space for a large water bottle in the front triangle, while sizes S-L all fit 2 large bottles in the front triangle. 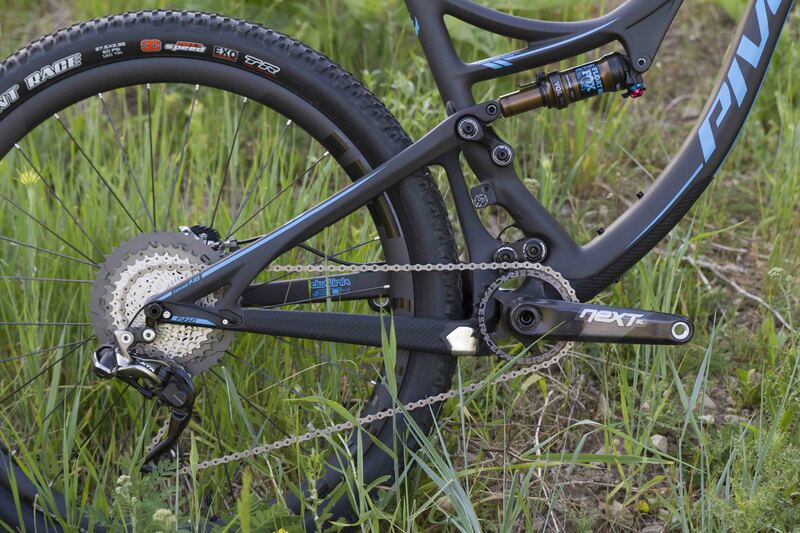 Getting the gearing setup that works best for you is easy with the Mach 4 Carbon. It is both 1x and 2x compatible, and offers full Di2 electronic integration and easy, clean internal routing of shifters, brakes and droppers via the Pivot Cable Port system. Other essential details include rubberized leather downtube and swingarm frame protection, 160mm rear post mount disc brake, and Enduro Max cartridge bearings throughout. 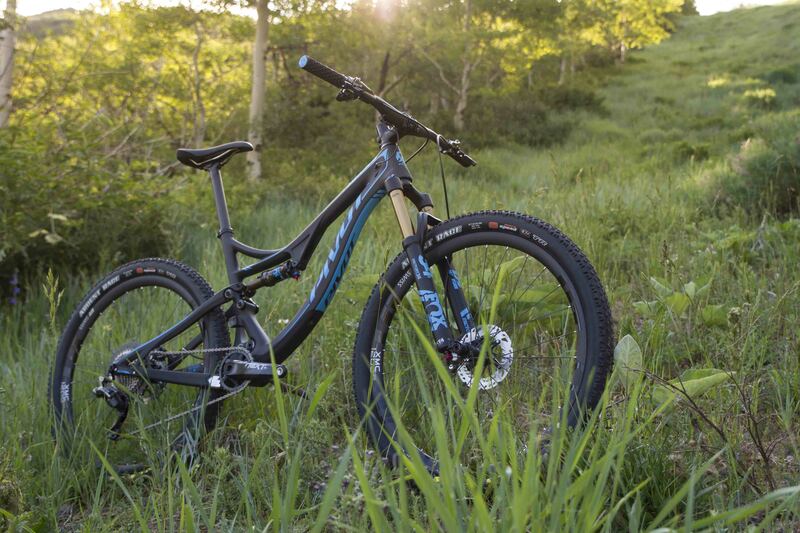 The Press camp hosts were kind enough to provide us with lift passes to the Deer Valley bike park, so we set out aboard the Pivot Mach 5.5 and Mach 4. The original plan of the group was to do a large XC loop up on the top of the mountain after taking the chair up, but who wants to do an XC loop when you have a full lift access bike park at your Disposal? At the suggestion of Andrew Taylor, we decided to opt out of that and shred some laps in the bike park instead. At no point did we regret the decision. 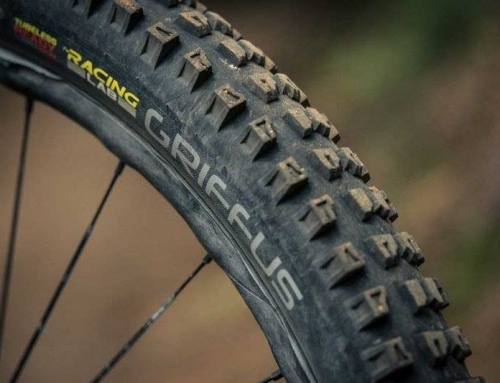 Even though the Mach 4 bikes we were riding came spec’d with a less than bike park friendly Maxxis Ardent Race tires, we were still able to rip down the jump trails and techy woods runs. Though the 27.5 inch wheeled Mach 4 is far less bike than its older sibling Mach 5.5, which we also spent ample time on in the park, it is still a very capable trail rig. Having the two side by side was actually the perfect opportunity to compare ride characteristics and better understand the differences between the siblings. Despite being a short travel XC/trail rig, the Mach 4 did an incredible job keeping pace. Only in the deep braking bumps and rocks did the 5.5 break out ahead of the 4, but that gap was easily made up by the pedaling efficiency of the 4. The other major difference between the two is the geometry. 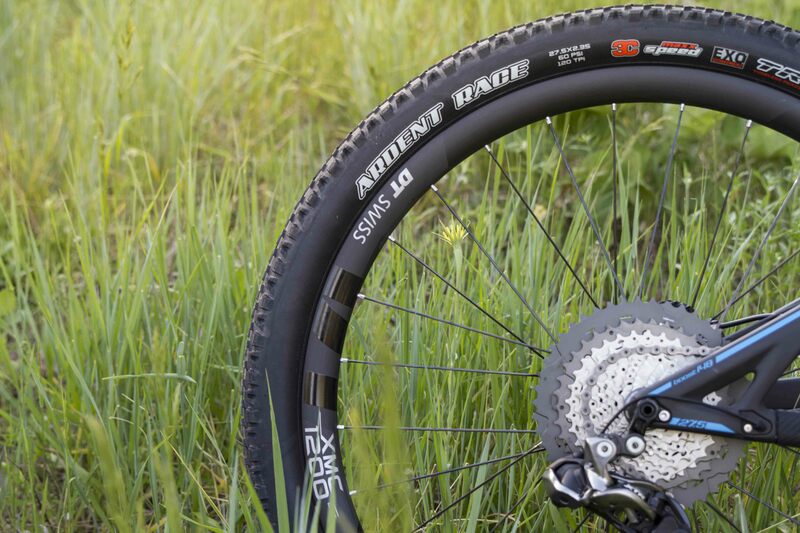 The 5.5 subscribes to the more modern long and slack trend, while the 4 preserves a more typical XC feel with a 69 degree head tube angle in the size large we rode. After sessioning the park, I got a little alone time with the Mach 4, and was able to experience it on some single track, which is far more in line with it’s intended purpose. Climbing efficiency was impressive, even as my sea level lungs struggled in the altitude. Cornering was also responsive and snappy, much like one would expect from a very light 27.5 trail rig. We are looking forward to spending more time aboard the Mach 4 and 5.5 as the year progresses, but our initial impressions were very positive. Got questions regarding spec, pricing or anything else? 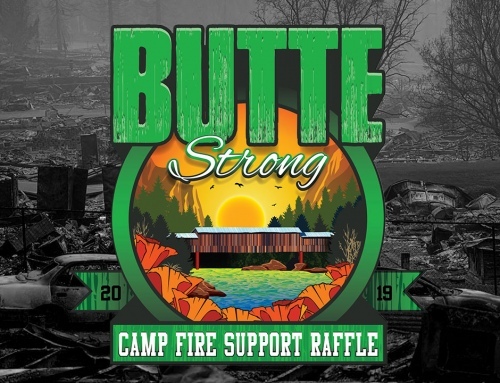 head over to Pivot’s website.